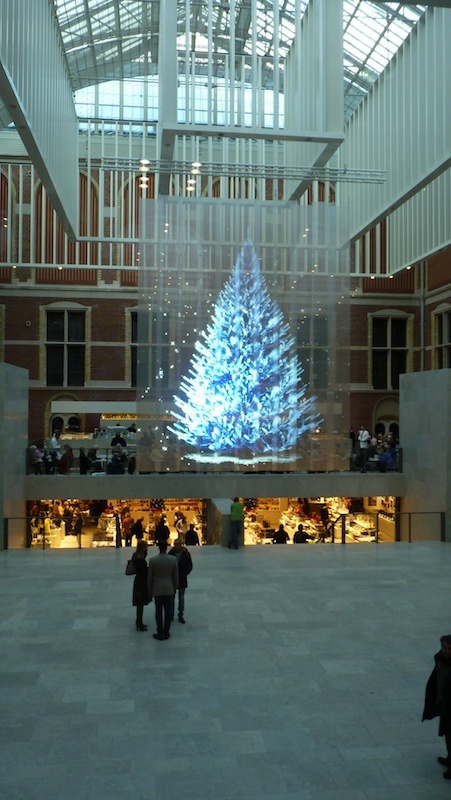 In the 2nd half of 2013 Amsterdam’s international renowned design agency Droog asked the Beambrothers to help design a holographic Christmas tree for the atrium at the renewed Rijksmuseum in Amsterdam. Together with Anne-Mari Ahola from Ahola Production Desing (concept & design canvas), Maurits Engelen from Eyris.nl (content creation and animation) and Maarten ten Holt & Michel Taanman from Van Dik Hout decors (canvas construction and scale modelling) we developed a canvas from 33 holographic plates measuring a total of 6 x 7,5 meters. 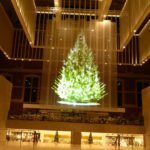 Hanging above the visitors heads the canvas is projected on by 4 Digital Projection Titan Super Quads with a total of 80.000 ansilumens. 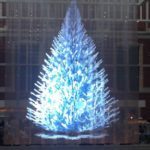 Together with a 7th Sense Delta Media Player they are responsible for a stunning loop of a classic Christmas Tree starting out in icy blue, turning green and being filled with lights before the wind takes hold of the tree making the branches shake out the lights and returning to the intense blue frosted state in which it started. A projection like this has never been done before in the world. 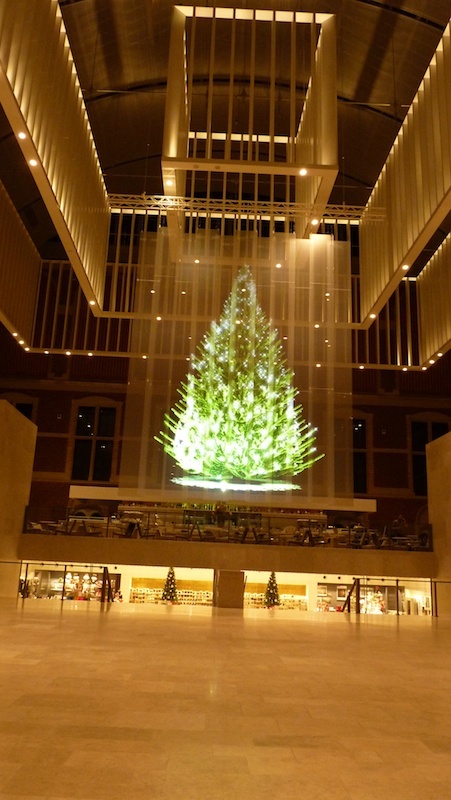 So without references getting the trust from Droog and the Rijksmuseum to manage this high profile project is yet another example of the high standards and expertise that characterise the Beambrothers and the other companies and persons involved. 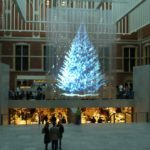 Considering the enormous media attention and overwhelming reactions on the Rijksmuseum’s social media (facebook & twitter) we can look back on a magnificent project in a second to none venue. 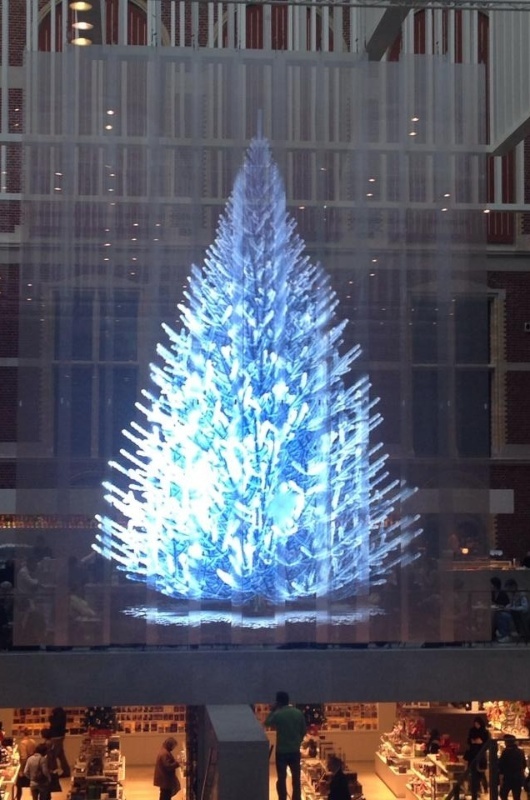 The Christmas tree can be seen daily from the 6th of December 2013 to the 6th of January 2014 from 8 am to 12 pm and is best visible from the bicycle tunnel that runs through the museum.